Freedom and power bring responsibility. 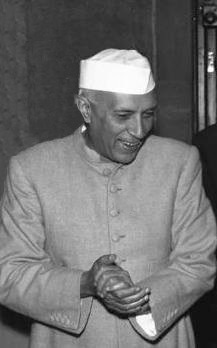 Jawaharlal Nehru (14 November 1889 – 27 May 1964) was an Indian politician and the first Prime Minister of India . The most effective pose is one in which there seems to be the least of posing, and Jawahar had learned well to act without the paint and powder of an actor … What is behind that mask of his? Peace is not only an absolute necessity for us in India in order to progress and develop but also of paramount importance to the world. War itself is not the objective; victory is not the objective; you fight to remove the obstruction that comes in the way of your objective. If you let victory become the end in itself then you've gone astray and forgotten what you were originally fighting about. I have become a queer mixture of the East and the West … Out of place everywhere, at home nowhere. Religion is not familiar ground for me, and as I have grown older, I have definitely drifted away from it. I have something else in its place, something older than just intellect and reason, which gives me strength and hope. Apart from this indefinable and indefinite urge, which may have just a tinge of religion in it and yet is wholly different from it, I have grown entirely to rely on the workings of the mind. Perhaps they are weak supports to rely upon, but, search as I will, I can see no better ones. The most effective pose is one in which there seems to be the least of posing, and Jawahar had learned well to act without the paint and powder of an actor … What is behind that mask of his? … what will to power? 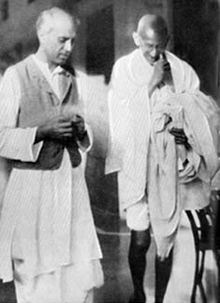 … He has the power in him to do great good for India or great injury … Men like Jawaharlal, with all their capacity for great and good work, are unsafe in a democracy. He calls himself a democrat and a socialist, and no doubt he does so in all earnestness, but every psychologist knows that the mind is ultimately slave to the heart … Jawahar has all the makings of a dictator in him — vast popularity, a strong will, ability, hardness, an intolerance for others and a certain contempt for the weak and inefficient … In this revolutionary epoch, Caesarism is always at the door. Is it not possible that Jawahar might fancy himself as a Caesar? … He must be checked. We want no Caesars. We must constantly remind ourselves that whatever our religion or creed, we are all one people. I regret that many recent disturbances have given us a bad name. Many have acquiesced to the prevailing spirit. This is not citizenship. Citizenship consists in the service of the country. We must prevail on the evil-doers to stop their activities. If you, men of the Navy, the Army and the Air Force, serve your countrymen without distinction of class and religion, you will bring honour to yourselves and to your country. In times of crisis it is not unnatural for those who are involved in it deeply to regard calm objectivity in others as irrational, short-sighted, negative, unreal or even unmanly. But I should like to make it clear that the policy India has sought to pursue is not a negative and neutral policy. It is a positive and vital policy that flows from our struggle for freedom and from the teachings of Mahatma Gandhi. Peace is not only an absolute necessity for us in India in order to progress and develop but also of paramount importance to the world. How can that peace be preserved? Not by surrendering to aggression, not by compromising with evil or injustice but also not by the talking and preparing for war! Aggression has to be met, for it endangers peace. At the same time, the lesson of the past two wars has to be remembered and it seems to me astonishing that, in spite of that lesson, we go the same way. The very processes of marshaling the world into two hostile camps precipitates the conflict that it had sought to avoid. It produces a sense of terrible fear and that fear darkens men's minds and leads them to wrong courses. There is perhaps nothing so bad and so dangerous in life as fear. As a great President of the United States said, there is nothing really to fear except fear itself. Ultimately what we really are matters more than what other people think of us. One has to face the modern world with its good as well as its bad and it is better on the whole, I think, that we give even licence than suppress the normal flow of opinion. That is the democratic method. But having laid that down, still I would beg to say that there is a limit to the licence that one can allow, more so in times of great peril to the State. Communalism of the majority is far more dangerous than that of a minority. The majority, by virtue of it's being a majority, has the strength to have its way: it requires no protection. It is a most undesirable custom to give statutory protection to minorities. It is sometimes for example, to backward classes, but it is not good in the long run. I do not say that the majority should accept the wrong things done by the minority. How can it do so? (But) It is the duty and responsibility of the majority community, whether in the matter of language or religion, to pay particular attention to what the minority wants and to win it over. The majority is strong enough to crush the minority, which might not be protected. The majority community must show generosity in the matter to allay the fear and suspicion that minorities, even though unreasonably, might have. When the minority communities are communal, you can see that and understand it. But the communalism of a majority community is apt to be taken for nationalism. We have thus communalism ingrained in us and it comes out quickly even at the slightest provocation and even decent people begin to behave like barbarians when communalism is aroused in them. We still have these ideas of casteism and communalism with us, whether we are Hindus or Muslims or Sikhs. The communal and caste weaknesses of the people had been deprecated in numerous resolutions of the Congress Working Committee and AICC. 'These resolutions were against these caste and communal tendencies.' Yet, in our daily life, we do not understand them fully. If a lot is said about these weaknesses, it hurts people. If we cannot forget these caste and communal weaknesses, which erupt in us at the slightest provocation, and cannot tolerate other communities, then to hell with Swarajya. During his various speeches; taken from: "The Muslims of India: A Documentary Record", A.G. Noorani ; Jawaharlal Nehru's Speeches Vol. 3 (1953-1957); Selected Works of Jawaharlal Nehru Vol. 7. I want to go rapidly towards my objective. But fundamentally even the results of action do not worry me so much. Action itself, so long as I am convinced that it is right action, gives me satisfaction. In my general outlook on life I am a socialist and it is a socialist order that I should like to see established in India and the world. We have done no better thing than this [agreeing that Tibet belongs to China] since we became independent. Nehru to the Indian Parliament (1954). Quoted from Upadhya, S. (2015). 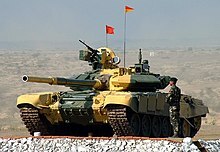 Nepal and the geo-strategic rivalry between China and India. London : Routledge, 2015. I have become a queer mixture of the East and the West … Out of place everywhere, at home nowhere. Perhaps my thoughts and approach to life are more akin to what is called Western than Eastern, but India clings to me, as she does to all her children, in innumerable ways … I am a stranger and alien in the West. I cannot be of it. But in my own country also, sometimes I have an exile's feeling. The general Muslim outlook was thus one of Muslim nationalism or Muslim internationalism, and not of true nationalism. ... On the other hand, the Hindu idea of nationalism was definitely one of Hindu nationalism. It was not easy in this case (as it was in the case of the Muslims) to draw a sharp line between this Hindu nationalism and true nationalism. The two overlapped, as India is the only home of the Hindus and they form a majority there. War is the negation of truth and humanity. War may be unavoidable sometimes, but its progeny are terrible to contemplate. Not mere killing, for man must die, but the deliberate and persistent propagation of hatred and falsehood, which gradually become the normal habits of the people. The discovery of India — what have I discovered? It was presumptuous of me to imagine that I could unveil her and find out what she is today and what she was in the long past. Today she is four hundred million separate individual men and women, each differing from the other, each living in a private universe of thought and feeling. If this is so in the present, how much more so to grasp that multitudinous past of innumerable successions of human beings. Yet something has bound them together and binds them still. India is a geographical and economic entity, a cultural unity amidst diversity, a bundle of contradictions held together by strong but invisible threads. Overwhelmed again and again her spirit was never conquered, and today when she appears to be a plaything of a proud conqueror, she remains unsubdued and unconquered. About her there is the elusive quality of a legend of long ago; some enchantment seems to have held her mind. She is a myth and an idea, a dream and a vision, and yet very real and present and pervasive. History is almost always written by the victors and conquerors and gives their view. Or, at any rate, the victors' version is given prominence and holds the field. The ambition of the greatest men of our generation has been to wipe every tear from every eye. That may be beyond us, but so long as there are tears and suffering, so long our work will not be over. Long years ago we made a tryst with destiny, and now the time comes when we shall redeem our pledge, not wholly or in full measure, but very substantially. At the stroke of the midnight hour, when the world sleeps, India will awake to life and freedom. A moment comes, which comes but rarely in history, when we step out from the old to the new, when an age ends, and when the soul of a nation, long suppressed, finds utterance. It is fitting that at this solemn moment, we take the pledge of dedication to the service of India and her people and to the still larger cause of humanity. Excerpts from his speech delivered on the eve of declaration of Independence, on 14 August 1947, at the midnight hour declaring Independence of India on 15 August 1947. And so we have to labour and to work, and work hard, to give reality to our dreams. Those dreams are for India, but they are also for the world, for all the nations and peoples are too closely knit together today for any one of them to imagine that it can live apart. Peace has been said to be indivisible; so is freedom, so is prosperity now, and so also is disaster in this One World that can no longer be split into isolated fragments. Friends and Comrades, the light has gone out of our lives and there is darkness everywhere. I do not know what to tell you and how to say it. Our beloved leader, Bapu as we called him, the Father of the Nation, is no more. A great disaster is a symbol to us to remember all the big things of life and forget the small things of which we have thought too much. In his death he has reminded us of the big things of life, the living truth, and if we remember that, then it will be well with India. Religion merges into mysticism and metaphysics and philosophy. There have been great mystics, attractive figures, who cannot easily be disposed of as self-deluded fools. Several editions of Nehru's autobiography were published in his lifetime, including An Autobiography (1936), Jawaharlal Nehru, An Autobiography, with Musings on Recent Events in India (1949), and Toward Freedom : The Autobiography of Jawaharlal Nehru (1958) Some passages occur in all of these, but with slight variations of wording. To be in good moral condition requires at least as much training as to be in good physical condition. But that certainly does not mean asceticism or self-mortification. Whether we believe in God or not, it is impossible not to believe in something, whether we call it a creative life-giving force, or vital energy inherent in matter which gives it its capacity for self-movement and change and growth, or by some other name, something that is as real, though elusive, as life is real when contrasted with death. Essentially I am interested in this world, in this life, not in some other world or future life. Whether there is such a thing as soul, or whether there is survival after death or not, I do not know; and important as these questions are, they do not trouble me the least. Intellectually, I can appreciate to some extent the conception of monism, and I have been attracted towards the Advaita (non-dualist) philosophy of the Vedanta, though I do not presume to understand it in all its depth and intricacy, and I realise that merely an intellectual appreciation of such matters does not carry one far. Many a Congressman was a communalist under his national cloak. But the Congress leadership stood firm and, on the whole, refused to side with either communal party, or rather with any communal group. Long ago, right at the commencement of non-co-operation or even earlier, Gandhiji had laid down his formula for solving the communal problem. According to him, it could only be solved by goodwill and the generosity of the majority group, and so he was prepared to agree to everything that the Muslims might demand. He wanted to win them over, not to bargain with them. With foresight and a true sense of values he grasped at the reality that was worthwhile; but others who thought they knew the market price of everything, and were ignorant of the true value of anything, stuck to the methods of the market-place. They saw the cost of purchase with painful clearness, but they had no appreciation of the worth of the article they might have bought. I turned inevitably with goodwill towards communism, for, whatever its faults, it was at least not hypocritical and not imperialistic. It was not a doctrinal adherence, as I did not know much about the fine points of Communism, my acquaintance being limited at the time to its broad features. There attracted me, as also the tremendous changes taking place in Russia. But Communists often irritated me by their dictatorial ways, their aggressive and rather vulgar methods, their habit of denouncing everybody who did not agree with them. This reaction was no doubt due, as they would say, to my own bourgeois education and up-bringing. Russia apart, the theory and philosophy of Marxism lightened up many a dark corner of my mind. History came to have a new meaning for me. The Marxist interpretation threw a flood of light on it... It was the essential freedom from dogma and the scientific outlook of Marxism that appealed to me. India is supposed to be a religious country above everything else, and Hindu and Muslim and Sikh and others take pride in their faiths and testify to their truth by breaking heads. The spectacle of what is called religion, or at any rate organised religion, in India and elsewhere has filled me with horror, and I have frequently condemned it and wished to make a clean sweep of it. Almost always it seems to stand for blind belief and reaction, dogma and bigotry, superstition and exploitation, and the preservation of vested interests. And yet I knew well that there was something else in it, something which supplied a deep inner craving of human beings. How else could it have been the tremendous power it has been and brought peace and comfort to innumerable tortured souls? Was that peace merely the shelter of blind belief and absence of questioning, the calm that comes from being safe in harbour, protected from the storms of the open sea, or was it something more? In some cases certainly it was something more. But organized religion, whatever its past may have been, today is largely an empty form devoid of real content. Mr. G. K. Chesterton has compared it (not his own particular brand of religion, but other!) to a fossil which is the form of an animal or organism from which all its own organic substance has entirely disappeared, but has kept its shape, because it has been filled up by some totally different substance. And, even where something of value still remains, it is enveloped by other and harmful contents. That seems to have happened in our Eastern religions as well as in the Western. I knew that Gandhiji usually acts on instinct (I prefer to call it that than the "inner voice" or an answer to prayer) and very often that instinct is right. He has repeatedly shown what a wonderful knack he has of sensing the mass mind and of acting at the psychological moment. The reasons which he afterward adduces to justify his action are usually afterthoughts and seldom carry one very far. A leader or a man of action in a crisis almost always acts subconsciously and then thinks of the reasons for his action. Action to be effective must be directed to clearly conceived ends. Life is not all logic, and those ends will have to be varied from time to time to fit in with it, but some end must always be clearly envisaged. To be in good moral condition requires at least as much training as to be in good physical condition. But that certainly does not mean asceticism or self-mortification. Nor do I appreciate in the least the idealization of the "simple peasant life." I have almost a horror of it, and instead of submitting to it myself I want to drag out even the peasantry from it, not to urbanization, but to the spread of urban cultural facilities to rural areas. Organised religion allying itself to theology and often more concerned with its vested interests than with the things of the spirit encourages a temper which is the very opposite of science. It produces narrowness and intolerance, credulity and superstition, emotionalism and irrationalism. It tends to close and limit the mind of man and to produce a temper of a dependent, unfree person. Even if God did not exist, it would be necessary to invent Him, so Voltaire, said … perhaps that is true, and indeed the mind of man has always been trying to fashion some such mental image or conception which grew with the mind's growth. But there is something also in the reverse proposition: even if God exist, it may be desirable not to look up to Him or to rely upon Him. Too much dependence on supernatural forces may lead, and has often led, to loss of self-reliance in man, and to a blunting of his capacity and creative ability. And yet some faith seems necessary in things of the spirit which are beyond the scope of our physical world, some reliance on moral, spiritual, and idealistic conceptions, or else we have no anchorage, no objectives or purpose in life. Whether we believe in God or not, it is impossible not to believe in something, whether we call it a creative life-giving force, or vital energy inherent in matter which gives it its capacity for self-movement and change and growth, or by some other name, something that is as real, though elusive, as life is real when contrasted with death. I am English by education, Muslim by culture and Hindu merely by accident. While this is often attributed to Nehru, it was actually something said by the Hindu Mahasabha leader, N. B. Khare. Khare states, "Nehru’s is a very complex personality. As he himself has explained in his Autobiography, he is English by education, Muslim by culture and Hindu by an accident of birth." "The Angry Aristocrat", N. B. Khare in A Study of Nehru, Rafiq Zakaria (ed. ), 1960. No such passage exists in Nehru's autobiography. So important to all of us, that if he did not exist — as Voltaire said of God — he would have to be invented. … One of the most difficult men with whom I have ever had to deal. My father was a statesman, I’m a political woman. My father was a saint. I’m not. One has to read his writings and speeches, and evaluate his policies from a Hindu point of view, to realize that so far as Hindus and Hinduism are concerned, he was a combined embodiment of all the imperialist ideologies - Islam, Christianity, White Man's Burden, and Communism - that have flooded this country in the wake of foreign invasions or interventions. And by the time he assumed command, he represented a sizable and powerful class of self-alienated Hindus which had started taking shape during Muslim rule, and had multiplied fast under the British dispensation. Thirty years of struggle and sacrifice have left their mark. Each year has taken away something of the warmth, gaiety and outgoing charm … The brown eyes that were ever ready to sparkle at some witty sally often hold an expression now of hard defiance or weary frustration. His face is that of a tired man who seems to be driven by some internal force which never relents, never lets go. His smile today is the smile of a self-possessed man, a polite Prime Minister, fully aware of his power, defying any criticism... In the eyes of the world, he is undoubtedly the only man in India who can guide and control her destiny in these difficult times. Nevertheless, there is danger for him and for India if he is spoiled too much with adulation. In his own words, "It must be checked. We want no Caesars!" Nehru is popular among Congressmen with modern outlook because his demagogy rationalises Gandhi‘s irrationalism ... none can deny that Nehru stands for medievalism. ... He has contempt for the weak, because he is a weak character; the weakness is hidden to himself by an exaggerated belief in his strong will and hardness, and rationalized, when it can no longer be hidden, by the dogma that the mind is a slave to the heart. ... Personal attachment to Gandhi precludes his moving in the direction of genuine political greatness and creative leadership .... Nehru found his God in Gandhi and dedicated his life to rationalizing the latter’s medieval ideals and obscurantist ideas .... After Gandhi’s death, Nehru could have recovered his soul, could he resist the lure of power? The lure of power, however, can result from a strong sense of responsibility. It has been so in the case of Nehru. Nevertheless, it has done him more harm than to others. ... He has failed as a diplomat, being too honest to be one ... The tragedy of Nehru is all the greater because he could be the real leader, if he had a stronger character ... The vicissitudes of party politics and the lure of power have strangled a good man who could shine more brilliantly as a poet or an actor ... The lure of greatness has made the world poorer by one good man potentially possessed of creative talent. Upon Gandhi's assassination in 1948, a year after independence, Nehru, the country's first Prime Minister, became the keeper of the national flame, the most visible embodiment of India's struggle for freedom. Gandhi's death could have led Nehru to assume untrammeled power. Instead, he spent a lifetime trying to instill the habits of democracy in his people — a disdain for dictators, a respect for parliamentary procedures, an abiding faith in the constitutional system. He himself was such a convinced democrat that, at the crest of his rise, he authored an anonymous article warning Indians of the dangers of giving dictatorial temptations to Jawaharlal Nehru. "He must be checked," he wrote of himself. "We want no Caesars." I have been wanting to see you. If you had not come I would have come to you. You are a man of peace. [Nehru's father was] in Macaulay's famous phrase, 'Indian in blood and color, but English in taste, in opinions, in morals and in intellect'. ... There being no vacancies at Eton, in 1905 he packed 15-year-old Jawaharlal off to Harrow, determined that the boy grow up a proper English gentleman. He succeeded beyond his wildest dreams, and years later, at Cambridge, Jawaharlal wrote his father asking permission to transfer to Oxford: 'Cambridge is becoming too full of Indians.' Those disliked countrymen, much to their ruin, would one day be led by Jawaharlal". Joseph Shattan, review of Stanley Wolpert: Nehru: a Tryst with Destiny, "The English gentleman who came to ruin India". In: American Spectator, Feb. 1997,Vol. 30 Issue 2, p72.